If you want a holiday off the tourist track in tranquil rural surroundings, Woodhouse is the ideal choice. You have the whole place to yourselves, with no near neighbours, and beautiful views over the woods and valley. 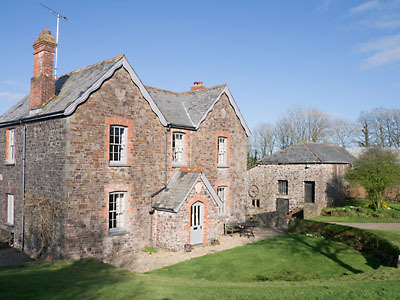 The house is ten miles from South Molton in the heart of beautiful, unspoilt rolling countryside. 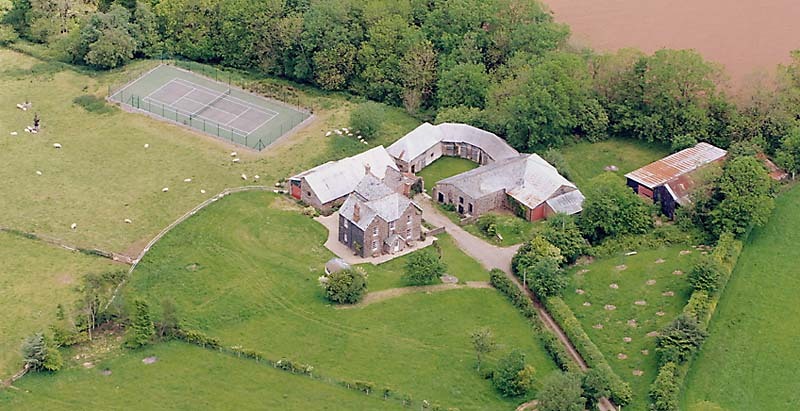 Woodhouse dates back to the seventeenth century, and the current house was built out of local stone with a slate roof in 1880, replacing the old cob farmhouse. The old cob and stone barns remain, in a lawned courtyard next to the house. The house has lots of original charm, with old tiled floors and stripped floorboards with rugs, and comfortable furniture. It is completely private and peaceful, surrounded by gardens and picturesque traditional barns (not in use), with no near neighbours. It is approached by a long private drive and is well away from roads. There are 40 acres of pasture and woodland. There are lovely walks around the property to explore, including the famous Two Moors Way at Witheridge. 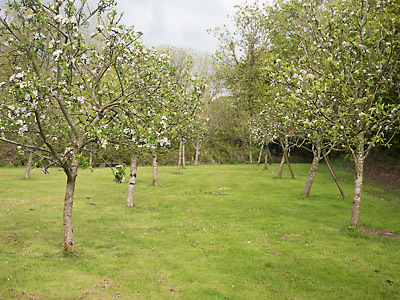 Woodhouse is a perfect base from which to explore Devon, being midway between the breathtaking scenery of Exmoor and Dartmoor, and the North and South Devon coasts. From Exmoor you can explore some wonderful unspoilt coastline, as well as charming resorts such as Lynton/Lynmouth with the famous water-powered railway that takes passengers up and down the steep cliff. For a good sandy beach perfect for children try Woolacoombe Sands and Croyde. Some of our favourite historic places to visit are Castle Drogo, Castle Hill, Tiverton Castle and Knightshayes Court. Rosemoor gardens are beautiful. South Molton is an attractive traditional Market Town. You will find lots of information about places to visit at the house.